How was my weekend? Frustrating. Here's what happened. It took 8 hours to download Sims 4 from Origin. At hour 6, I was ready to just give up. But I am getting ahead of myself. Let me backtrack. 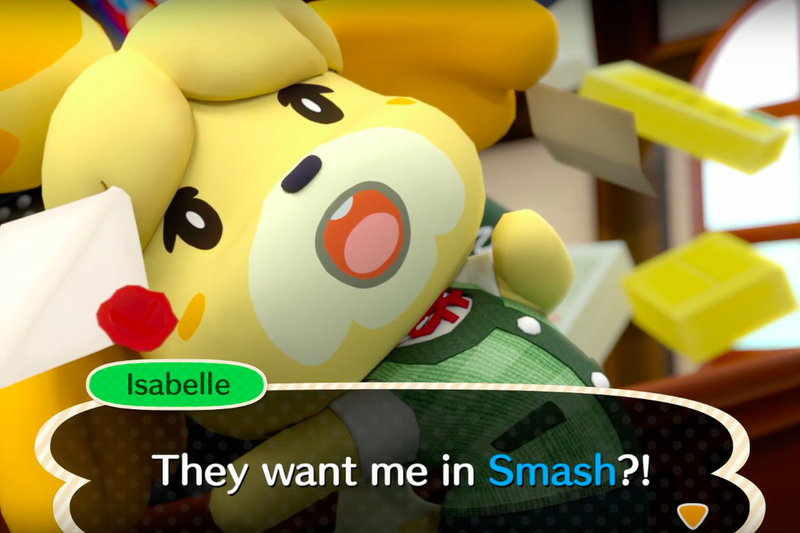 Friday, Nintendo announced that Isabelle, the beloved assistant to the mayor from Animal Crossing: New Leaf, is coming to Super Smash Bros. Ultimate. The internet, myself included, has lost their collective mind. Along with this is the news that a new Animal Crossing game for the Nintendo Switch consoles coming out in 2019. The announcement featured AC's benevolent businessman (or loan shark, depending on how you look at it), Tom Nook. I have not bought a Switch yet for this very reason. I was waiting for a game that I actually play before I spend over $300 for yet another gaming console. But as Saturday rolled, I figured I'd check out them out... just to familiarize myself with the interface. I will admit that 3D games give me anxiety. I couldn't even play the sky land stages of Super Mario World without having a panic attack. Forget about RPG's with open worlds. I would get distracted and not finish the game. It's a problem. But I do enjoy playing The Sims. My favorite is still The Sims 2. I bought Sims 3 when it first came out but found it frustrating and a bit creepy - the whole uncanny valley thing. So I stuck with playing the older game on my old laptop from college. It was the only thing I used it for, until sometime last year when the 9+-year-old machine decided that it had enough and went to computer heaven. By Sunday morning, I found myself at Target debating if I should get the other expansion pack for The Sims 4. I only came in to buy coffee, like most Target run starts out. But ended up at the video game section. Anyway, it was a good thing I didn't get the other expansion pack because, as I mentioned at the beginning - it took over 8 hours to download the base game from Origin. And now... I don't even want to play it anymore.